The condition of a commercial building’s balcony doors is vital to the overall condition of the building itself. Balcony door repair is required as the door is exposed to the elements and is used often. Adriatic Restoration has the expert knowledge required to properly perform any, and all of your, balcony door repairs and repair sliding door tracks, reinstall window weather stripping or door weather stripping , apply caulk & gaskets where needed, and make any frame repairs. 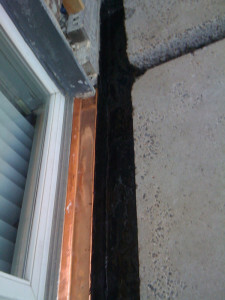 Waterproofing your exterior balcony doors will ensure they last for a long time and help you lower your utility costs. To waterproof exterior doors properly, Adriatic’s team will inspect all seams, tracks, saddle, jambs, and flashing for deterioration. They will apply caulk, replace all worn weather stripping, and repair or replace any deteriorated parts.